Jake Pfahl and Malu Marzarotto know how important it is for artists to share their work. The brains behind Marcd Studio, a multi-disciplinary design company in Columbus, the duo transformed a simple deck of playing cards into an international art experience so artists could do just that. Dubbed MarcDeck, the 56-card deck is far from typical. 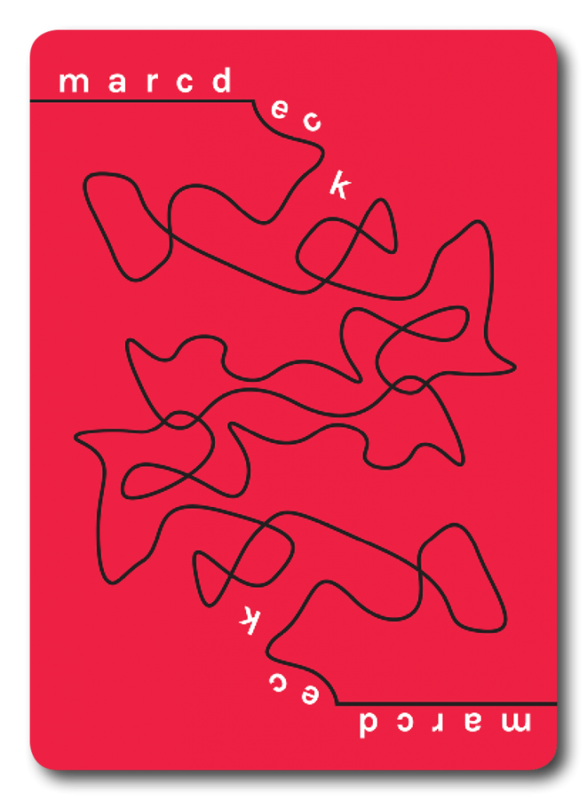 Fifty-four of its cards feature work from artists around the world. Joining featured artists from countries like Russia, Germany, and the United Kingdom are three of our very own Queen City designers Adam Stafford, Justin Elias, and Justin Warrick. Each brings his own distinct style to the deck. 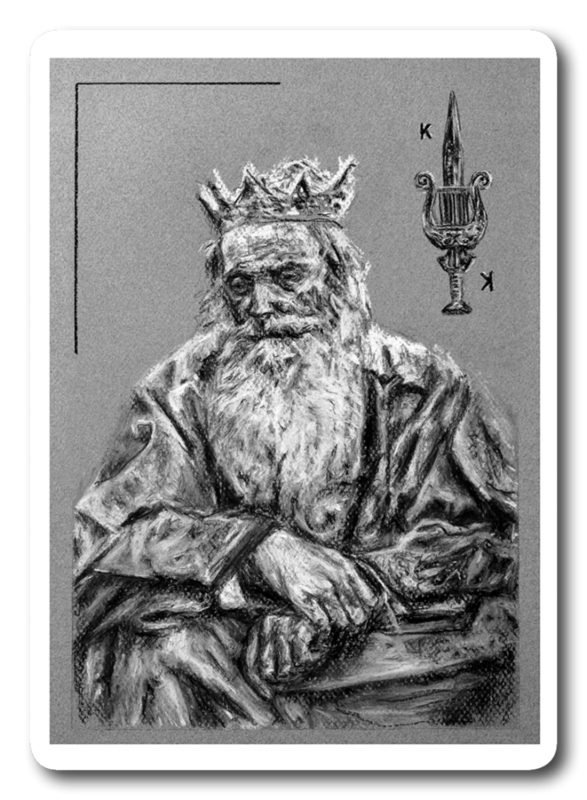 A University of Cincinnati alumnus and full-time artist, Justin Warrick brings the King of Spades card to life by illustrating the very king the card was created for: King David described in the Bible. Using old paintings and sculptures as examples, Warrick included small details of David’s life in his work. “For the spade, I combined a sword and a lute, which are associated with King David,” Warrick says. “It’s a juxtaposition of young versus old King David.” Check out more of Warrick’s work on Instagram at @eyepatch_morty or at justinwarrick.com. Another UC graduate, Justin Elias is an industrial designer with a focus on footwear design. 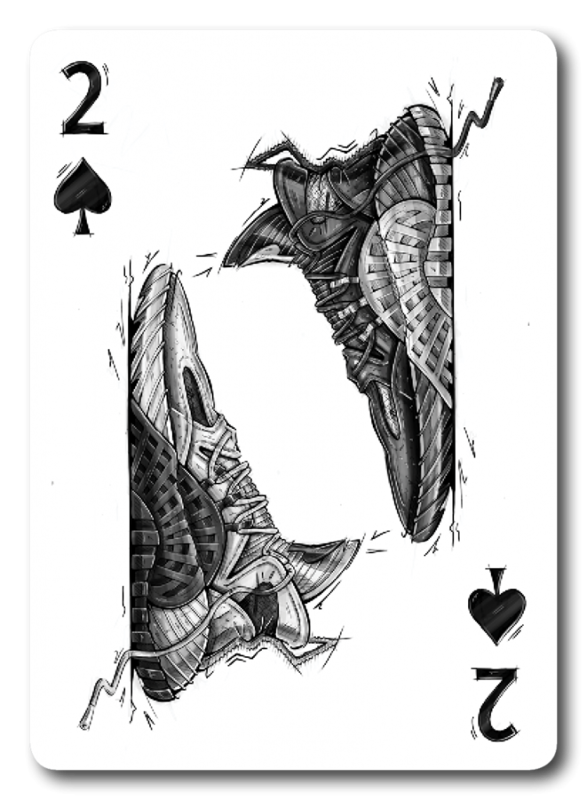 With plans to intern with Adidas this fall, Elias wanted to create his own take on an Adidas shoe for the Two of Spades card. He took inspiration from a classic shoe called the Adidas Tubular Rise to create his own Spade brand. “The project was a cool thing to be involved with,” Elias says. “Especially to do my take and also see how different everyone else’s work is.” To see more of Elias’ work, visit his Instagram @_justinelias or at justinelias.com. Adam Stafford has been drawing since he could first hold a pencil. His lifelong love of art has led him to work for companies like HBO and Hasbro. A current graphic communication design student at UC, Stafford learned most of his artistic skills from studying comic books. 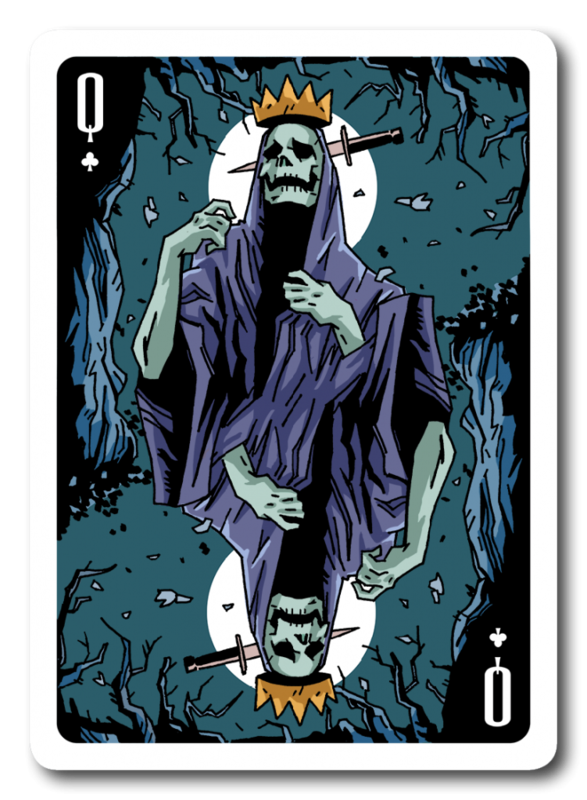 Pulling inspiration from the Marvel Comics depiction of a fictional character named Death, Stafford designed the Queen of Clubs card to embody a dark and tragic appearance. “The material and content seen in comic books is typically wacky and abstract. That’s where my idea comes from,” Stafford explains. “I wanted to convey a bit of tragedy with her holding her chest and looking up as if crying.” To view more of Stafford’s work, visit his Instagram page @notadamstafford or at adamstafforddesign.com.